As many Leicestershire residents are painfully aware, fly-tipping is a major problem. This is predominantly due to the fact that many people are unable or unwilling to pay disposal charges at local civic centres. So, what are Leicestershire officials doing to curb this issue? Since charges were introduced last May at 14 of the county’s recycling centres, the amount of fly-tipping has increased. Leicestershire’s Liberal Democrats are now advocating that the charges imposed at civic recycling centres be cut down in order. This is thought to discourage residents from engaging in fly-tipping. 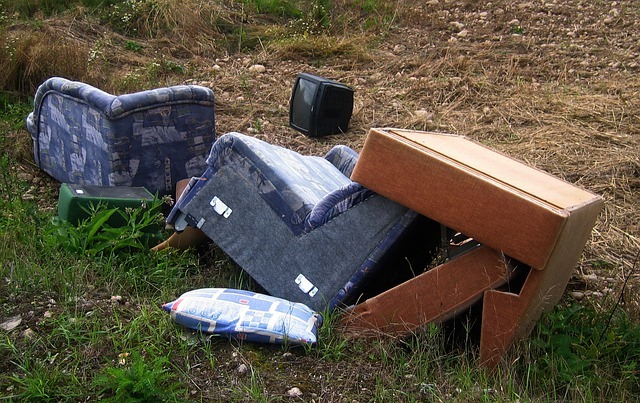 Fly-tipping has become extremely problematic in places like Bosworth and Hinckley, where rubbish is being dumped on secluded roadsides and country lanes. The removal of one waste pile from Hinckley’s Barwell lane cost over £4,000. As they currently stand, the average cost for dumping non-household items is £3 per item or £3 per tub at waste disposal sites in Leicestershire. Some charges depend on how much you are wanting to dispose of. Much of the waste that is fly-tipped is construction waste. However, household waste is also being improperly disposed of. Some areas throughout the UK are implementing monthly bin collections as a way to encourage residents to recycle household waste. But is it actually working? Will monthly bin collections help? In places such as Falkirk, Scotland and Conwy, north Wales, councils have implemented monthly bin collection policies. This, of course, is much to the dismay of many residents. Residents in these areas have taken to burning their household waste or asking neighbours to recycle it for them. Local authorities in Leicestershire, North Devon, and Greater Manchester have either already imposed or are deeply considering imposing bin collections once every three weeks. Unfortunately, this type of policy might cause an increase in improper disposal of household rubbish. Even if it’s properly disposed of in a bin outside, the waste will attract pests, create undesirable odours, and could allow bacteria, fungi, and viruses to grow and fester. What are residents who oppose these policies and charges supposed to do? As Conservative MP Andrew Brigden states, residents need to lobby their councils and let their leaders know that they do not want these policies to be enacted. Following the reduce, reuse, and refrain method might help residents cut down on waste output while councils work to figure out the best way to encourage proper disposal.